We shoot from the hip and work as hard for your business as we work for our own, offering real, measurable business impact. Partner with us, and you’ll find our full complement of services—and experts with the right stuff to maximize your return on investment—is at your disposal. After working in media for over a decade, Michelle Abdow founded Market Mentors in her home in 2003. 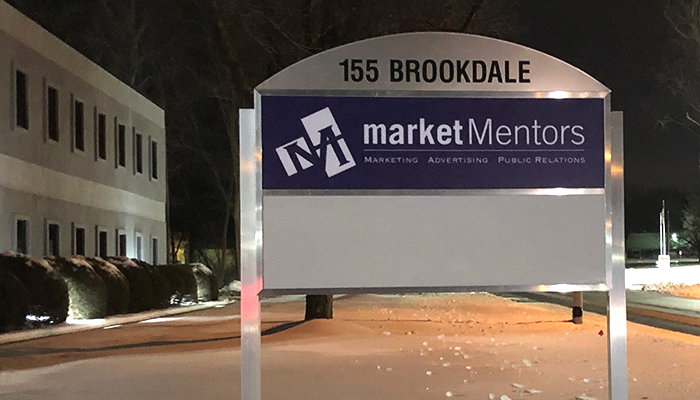 From these humble beginnings, we have grown to become the region’s largest, most trusted full-service agency for marketing, advertising and public relations. During our first 15 years, we experienced steady growth, moving five times to expand our staff and services. Today, our team of over 20 offers a depth and breadth of experience across a range of industries that is hard to match in New England. We’re big on brainstorming and tapping into the imagination and expertise of our entire crew. Experience, intuition and imagination are essential in our line of work, but we are also strong on analytics and up-to-the-minute research to inform and support direction. We're not in this for awards and accolades—we're in it for results: yours.